Sean Scully was born in Dublin in 1945 and emigrated with his family to London four years later. He took evening classes at the Central School of Art in the early sixties before studying at Croydon College of Art, London from 1965-68 and then at Newcastle University from 1968-72. From 1972-73, Scully studied at Harvard University, Cambridge, MA, having received a John Knox Fellowship, then returned to the UK to teach at Chelsea and Goldsmith’s Schools of Art in London from 1973-75. He held his first major one-man exhibition in 1973 at the Rowan Gallery, London. Scully moved to the US in 1975, teaching at Princeton University, New Jersey from 1978-82, and became an American citizen in 1983, the same year in which he received the Guggenheim Fellowship. Scully’s first retrospective exhibition was organised by the Arts Council at the Ikon Gallery in Birmingham in 1981. In 1984 he was awarded an Artists Fellowship from the National Endowment for the Arts and exhibited in a group show entitled, An International Survey of Recent Paintings and Sculptures at the Museum of Modern Art in New York. The following year he held his first solo exhibition in an American Museum at the Carnegie Institute in Pittsburgh. His first solo show in a European Museum followed in 1989 at the Whitechapel Gallery, London, before touring to Palacio Velázquez, Madrid and Städtische Galerie im Lenbachhaus, Munich. Scully was shortlisted for the Turner Prize for the first time that same year (he was nominated again in 1993). From 2002-2007, Scully was Professor of Painting at Akademie der Bildenden Künste, Munich, during which time his Wall of Light series toured The Phillip Collection, Washington DC, the Modern Museum of Fort Worth, Texas, the Cincinnati Art Museum, Ohio and the Metropolitan Museum of Modern Art, New York. The Sean Scully Gallery, with a permanent display of the artist’s paintings, opened at The Hugh Lane, Dublin City Gallery in May 2006. In 2007 he married the artist Liliane Tomasko, with whom he has a son, Oisin, born in 2009. Scully was elected Royal Academician in 2013. 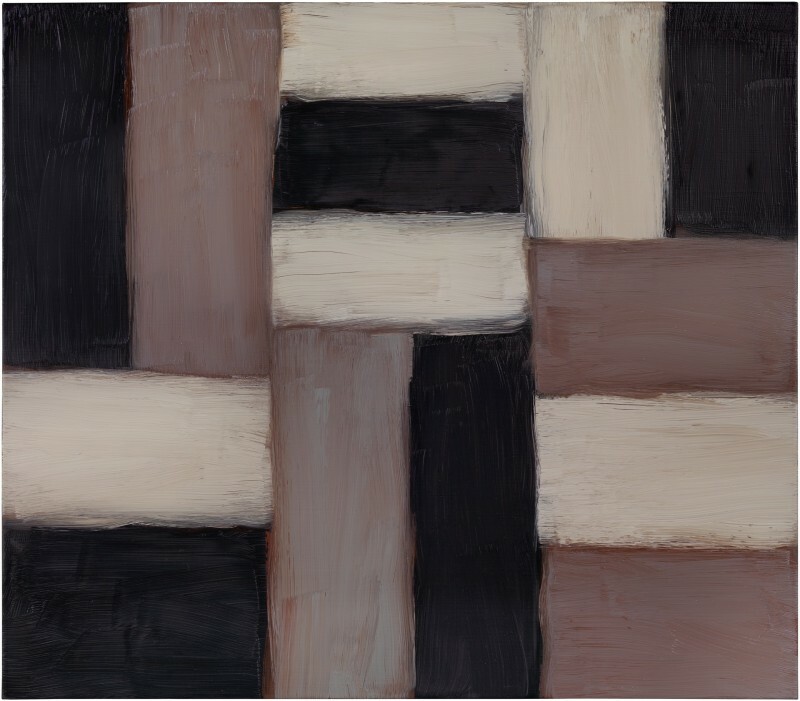 Sean Scully lives and works in New York, Barcelona and Munich. The work of Sean Scully is held in various international public collections including The Metropolitan Museum of Art and the Museum of Modern Art, New York; Tate, London; Albertina, Vienna, Austria; Museu d’Art Contemporani de Barcelona, Spain; Musée National d’Art Moderne, Centre Georges Pompidou, Paris, France; Museo Nacional Centre de Arte Reina Sofia, Madrid, Spain; Bridgestone Museum of Art, Ishibashi Foundation, Tokyo and Nagoya City Art Museum, Nagoya, Japan, amongst many others. The artist cited in ‘Sean Scully: Doric’, www.hughlane.ie, 28th March 2013.